Students can travel across the globe without leaving the classroom! Inspire and reward your students’ curiosity about the world through programs like the National Geographic GeoBee. GeoBee registration is now open! Click here to learn more. 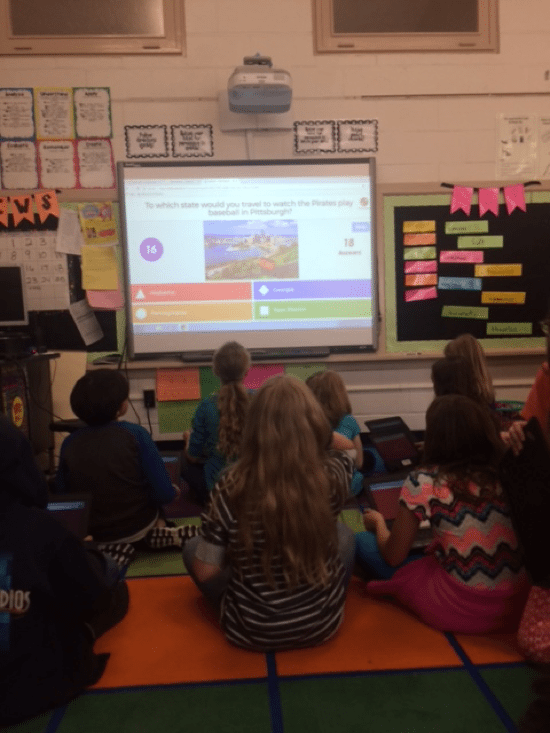 Fourth graders in Ashley Peterson’s class often play Kahoot! before dismissal. She recently held a mock geography bee using Kahoot! that teaches geography concepts and helps kids prep for the National Geographic GeoBee. Currently National Geographic has multiple geography-themed Kahoot! games available with topics including Ocean Wonders, Border Blitz, and U.S. State Savvy. Learn how to use Kahoot! for a mock geography bee in your classroom. Ashley Peterson’s fourth graders get ready for the GeoBee using Kahoot! Set up a pen pal exchange with a teacher in another city or country to help kids practice their writing skills while gaining a global perspective. Bring the experience to life by ending the year with a Skype chat where kids can finally “meet” their pen pals. 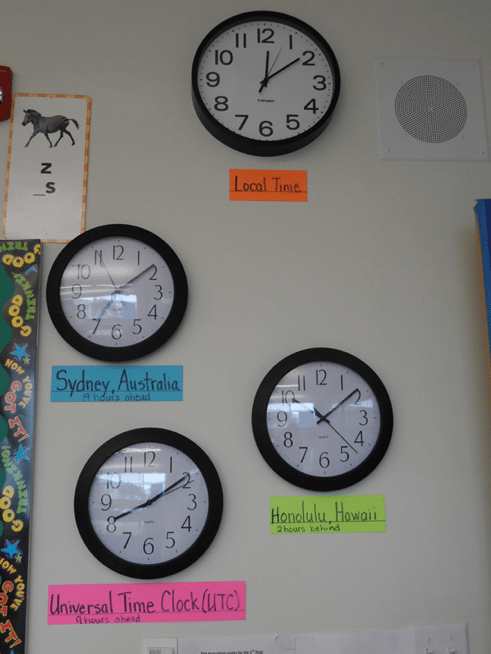 Help students start to understand the geography of time zones by putting up a wall of clocks in your classroom. Set one clock to Universal Time and label it Greenwich, England. Choose a variety of major cities throughout the U.S. and the world to label the other clocks. Point out the clocks at different times throughout the school day. For example, in the morning when students in your class are just starting school, talk about what students in other time zones may be doing. You can also use the clocks as a starting point to explain how longitude and time zones are related. Technology teacher Melinda Klecker has her students design travel brochures. She asks students to select different states. They each research the state and two cities in it to include in the brochure. It’s a great way to incorporate writing, technology, graphic design, and geography all in one project. Anytime fourth grade teacher Julia McIntyre talks about her personal travels, she uses Google Earth to show students the distance between their school and her destination. “It really puts it into perspective for them,” she says. Now you can also use Google Earth to follow National Geographic Explorers, including those working to protect the oceans through National Geographic’s Pristine Seas initiative. Josh Williams’ students explore the Pristine Seas program and use Google Earth to analyze how places around the world have changed over time. 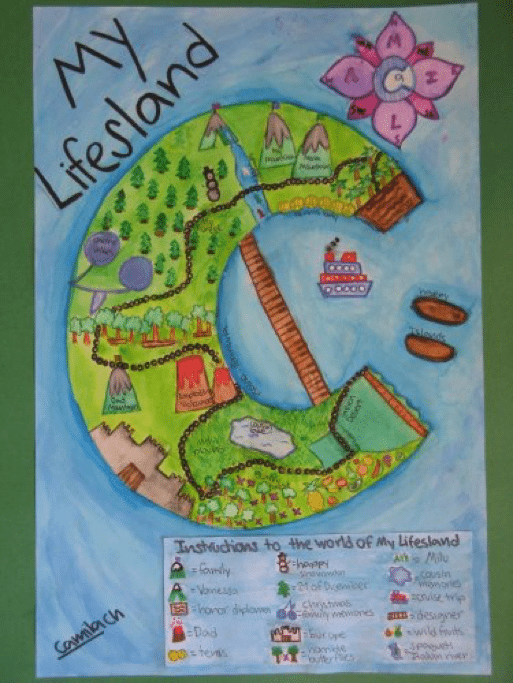 Students in Amy Getty’s sixth grade class start off the year by creating maps of islands that illustrate their lives. They first fill out an autobiographical survey and then use their creativity and knowledge of landforms and symbols to design their maps. Mystery Class, which Christina Michelle plans to try with her students next year, helps kids understand longitude and latitude while learning about continents, countries, and cities around the world. Kids start by gathering data about the Earth based on latitude, longitude, and seasonal changes in sunlight. Then they investigate clues and compare their data, narrowing down their search to find 10 secret sites around the globe. Texas teacher Deborah Edmondson has her students take a group survey of where their shoes and clothing come from by checking the labels. They then use the National Geographic World Political MapMaker Kit to mark locations of where the materials come from and have a discussion about the global reach and interconnectedness of clothing and other goods they use every day. Here’s an idea to keep your fast finishers actively learning even after they’ve finished their classwork. Runa Zaman suggests photocopying a stack of blank world maps and asking kids to label them. Students can even receive extra credit or a small prize based on the number of countries they label correctly. 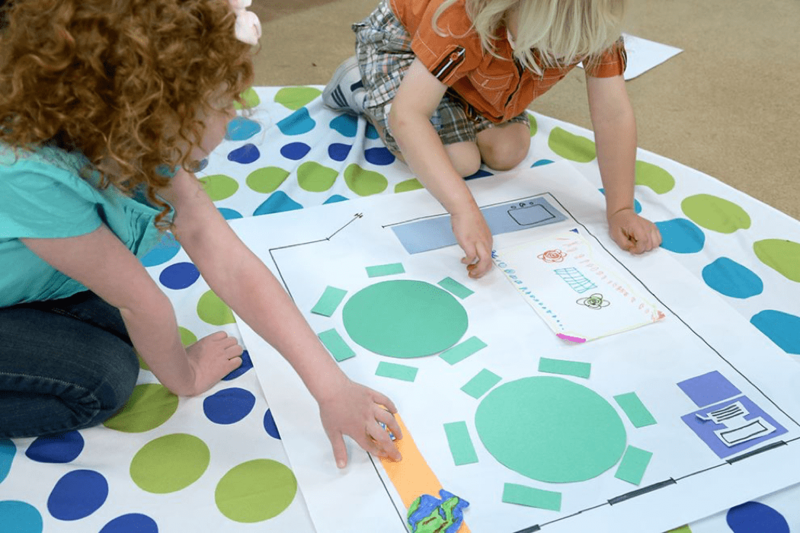 Introduce spatial concepts without ever leaving the classroom. You can practice with familiar places using this National Geographic activity to help your students understand the wider world around them—starting with their own classroom. Play “Throw the Globe” by tossing a beach-ball-sized inflatable globe around the classroom. When a student catches it, they must tell the class which continent or ocean their right thumb is touching. If they know something about the location, they can also share it with the class. Are your students hungry for knowledge about the world’s food production? National Geographic’s MapMaker Interactive layers show leading crop production per country on an interactive map. 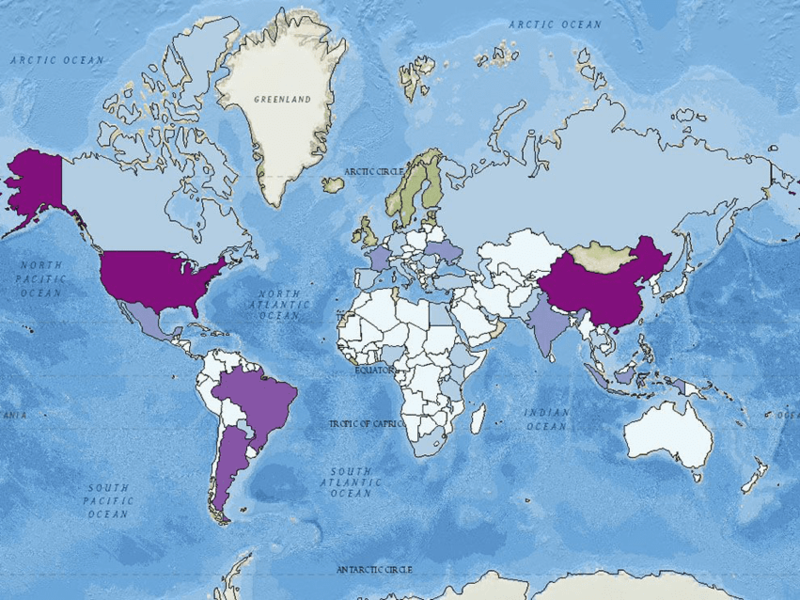 Challenge your students to think about what the map doesn’t show—like where crops may grow in the future or where the crops travel to when they are exported.